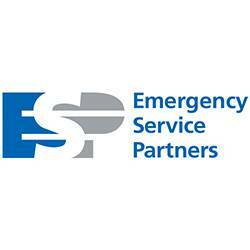 US Acute Care Solutions (USACS) today announced Emergency Service Partners (ESP) has entered into a definitive agreement to join USACS, the national physician-owned leader in emergency medicine, hospitalist and observation services as a founding partner. Founded by emergency medicine physician groups in Colorado, Florida, Maryland and Ohio, USACS is committed to the principle that high-quality patient care and the best hospital partnerships result when physicians maintain ownership and management of their practices. Since 1988, ESP has been dedicated to the same principle and joins USACS as a founding partner. Approximately 750 physician and advanced practice providers of ESP treat over one million patients annually at 36 locations in Texas. This partnership agreement, which has been approved by the shareholders of ESP, is subject to customary closing conditions, and is expected to close January 1, 2017. Founded by emergency medicine physician groups in Colorado, Florida, Maryland and Ohio and capital partner Welsh, Carson, Anderson & Stowe, USACS is the national leader in physician-owned emergency medicine, hospitalist and observation services. USACS provides high quality emergency and hospitalist care to over 4 million patients annually at approximately 125 locations in 21 states, and is aligned with leading hospital systems across the country. Visit www.usacs.com to learn more. Emergency Service Partners, LP is a Texas-based provider of emergency medicine, critical care, hospitalist and OB/GYN services to leading hospital systems. ESP is physician-owned and provides care to over one million patients annually in Texas. Welsh, Carson, Anderson & Stowe focuses its investment activity in two target industries, information/business services and healthcare. Since its founding in 1979, the firm has organized 16 limited partnerships with total capital of over $22 billion. The firm is currently investing an equity fund, Welsh, Carson, Anderson & Stowe XII, L.P. Visit www.wcas.com to learn more.